Enjoy a lovely meal, wonderful views and a welcoming and relaxed atmosphere! 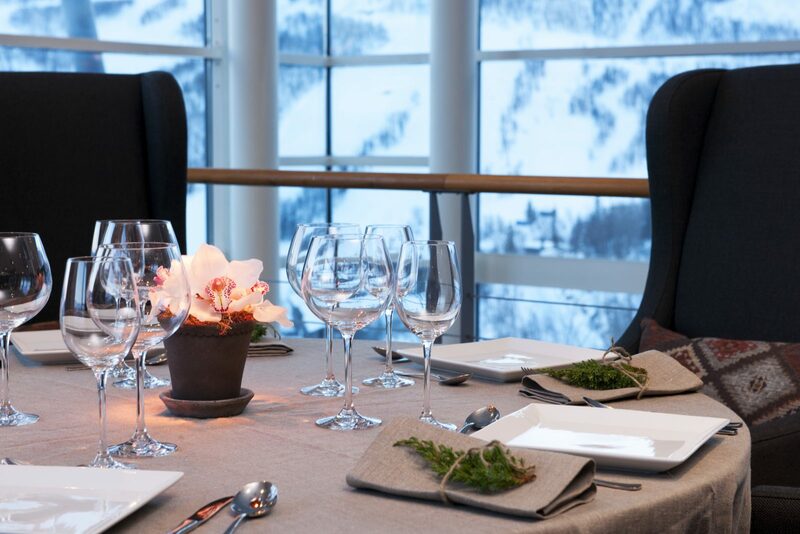 At Skarsnuten Hotel good food and drink is a major part of the experience. The restaurant has a fantastic view, inviting design and tempting dishes in a varied a la carte menu. 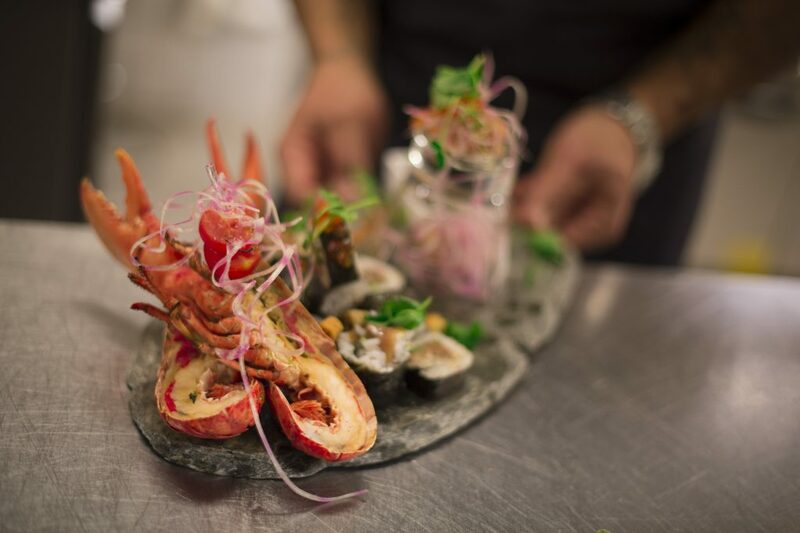 Our chefs have a burning passion for their profession, love the food and uses local ingredients in their compositions. No matter if it is coffee, lunch or a nice dinner you are looking for, we will do our best to make you enjoy the affair. Our wine menu supplements the a la carte menu, and you can find many interesting tastes in our cellar. . The restaurant is open for everyone, not only the hotels guests. Please get in touch for questions or reservations. Nothing beats burning sunshine, music and good vibes. Aprés ski at Skarsnuten is one of a kind. This is the place where the mature public meet in a pleasant atmosphere. 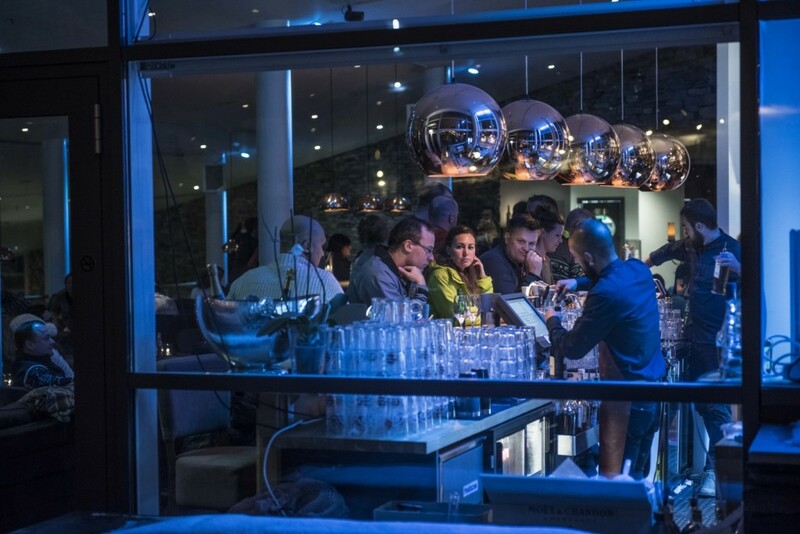 Our DJ starts the player around 3 pm and the record spins until dinnertime – 7 pm. When the sun shines we open the doors to the terrace and light up the grills. We have a lovely seating area outside, and should the weather be too cold, the fireplace inside is warm and cosy. This is a perfect start on your evening in Hemsedal.